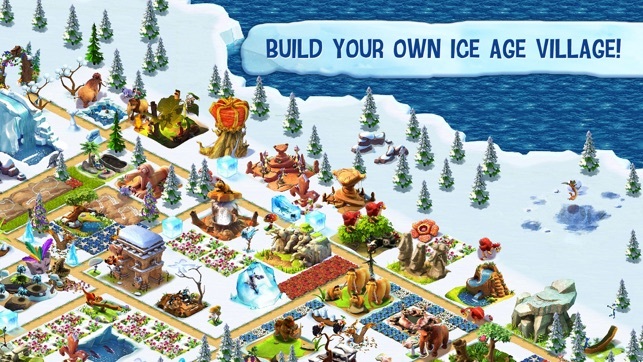 Discover one of the greatest successes on the App Store and embark on a delightful journey through the Ice Age universe! 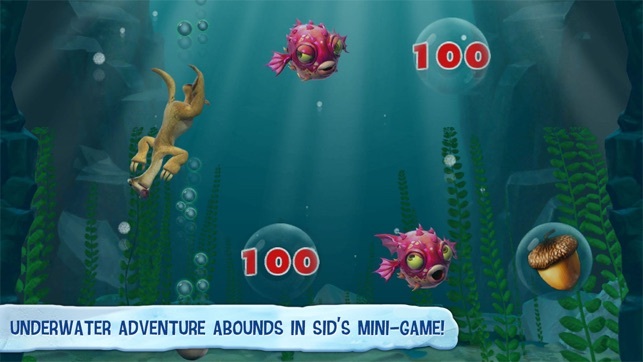 Build a new home for Sid, Manny and Diego -- and our favourite nutty little animal, Scrat, of course! There's so much to discover above and beneath the ice! 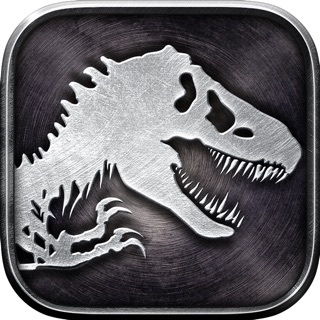 √ Explore Dino World, a place full of colossal fun! 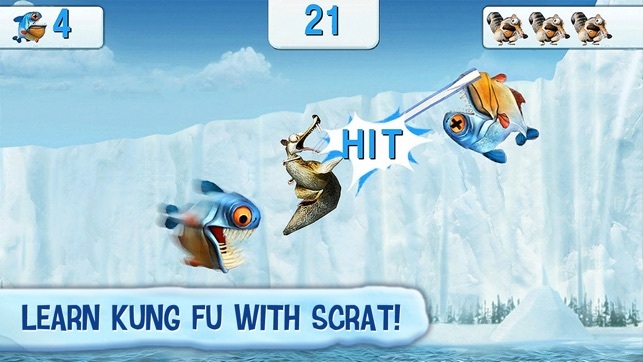 √ Play exciting mini-games like Kung Fu Scrat and Sid's Egg Rescue! √ Participate in a variety of events in your bustling Village! √ Visit your friends' Villages and the herd's too! You can download and play this game for free. Please be informed that it also allows you to play using virtual currency, which can be acquired as you progress through the game, or by deciding to watch certain advertisements, or paying with real money. In-app purchases range from £1.49 to £79.99. You can disable in-app purchases by adjusting your device’s settings. Languages: English, French, German, Italian, Japanese, Korean, Portuguese, Russian, Simplified Chinese, Spanish, Turkish, Arabic, Indonesian, Thai, Traditional Chinese. An additional download of 50 to 150 MB is required to play this game. Please note the size of this required download may change without notice. 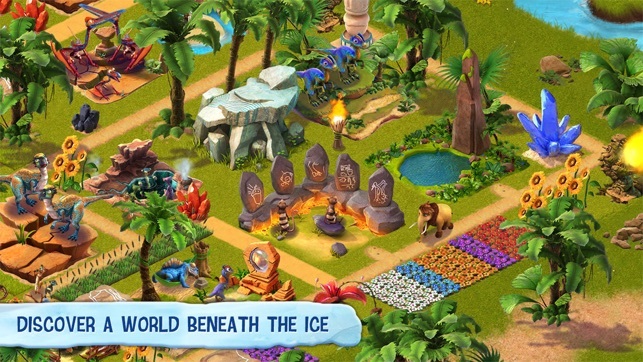 The game requires an Internet connection (3G or Wi-Fi) for download and updates, and other features including playing with friends, making in-app purchases and watching advertisements. 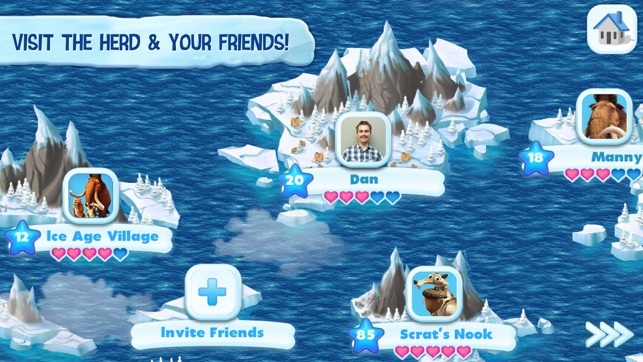 Certain aspects of this game, such as collaborating with, playing against or sharing in-game items with other players will require the player to connect to a social network like Facebook or Game Center. Please note this connection is never compulsory to progress through the game. These features may be disabled in certain countries. This game may contain third-party advertisements that will redirect you to a third-party site. You can disable your device’s ad identifier being used for interest-based advertising in the settings menu of your device. This option can be found in Settings -> Privacy -> Advertising. - General bug fixes and stability improvements. That's wonderful world, which we create, helps us to forget about problems and troubles we have during the day, the atmosphere is funny and calm in our ice village. Especially, I like this game, because here you can simply earn millions!!! Except friends section (which doesn't work properly), the game is awesome! All is nice. It's cool. I like this game and my daughter likes too. We are playing together. She is playing at iPad2 and I - at iPad3.